We’ve got an over abundance of flowering fennel right now. It takes over quite a large corner of our garden but rather than dig up the bulbs to eat, the flowering fennel is something we want to keep – the bees and wasps absolutely love it. As well as helping wildlife, attracting wasps to our garden helps keep our caterpillar population at a minimum – companion planting for the win! I don’t use much fennel in my cooking. I like to use fennel fronds in cucumber salad – served with feta cheese it’s delicious, but I’ve never done anything with fennel flowers. I’ve always wondered if I could perhaps share the fennel flowers with the bees and wasps, and I thought about pickling cucumbers with fennel instead of traditional dill. I gave it a go and was pretty delighted with the results. 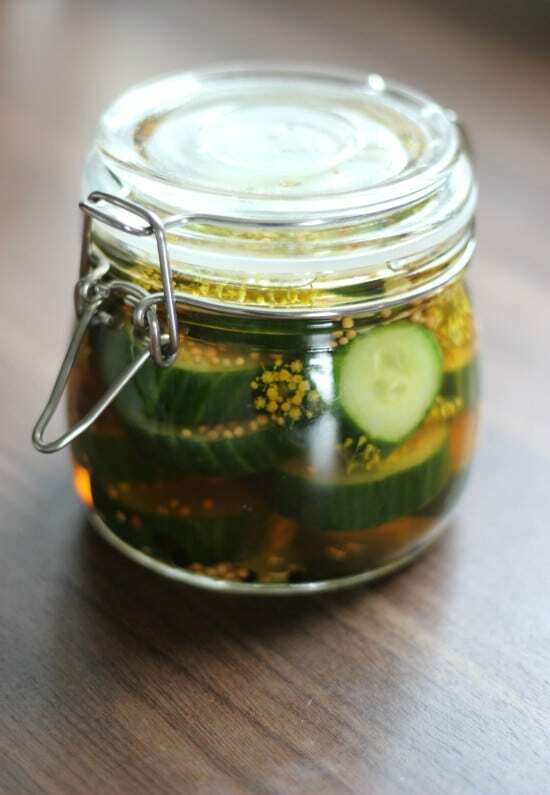 So delighted in fact that I thought I’d share the pickled cucumber recipe with you guys. The fennel gives the pickled cucumber that extra flavour hit. And the good thing is the recipes uses only a few flower heads so there will be plenty left for the bees and wasps! 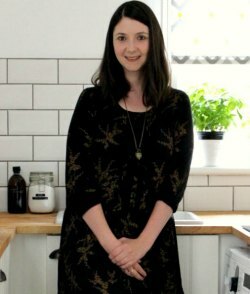 One note before you get started – I made one large jar and five small jars of cucumber pickle, so make sure you’ve got enough jars to hand for your pickled cucumber! 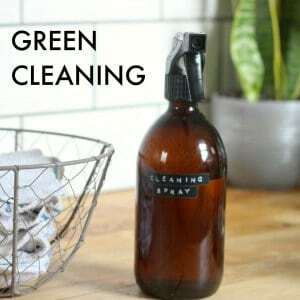 You also want to ensure your lids are vinegar proof – meaning there isn’t any metal that can touch the vinegar. If you don’t use vinegar proof lids, the vinegar can react with the metal lid, giving the pickled cucumber a metallic taste. 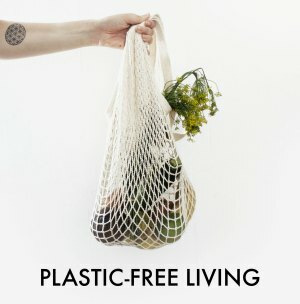 If you’re using old jars that you’re recycling then look for lids with a plastic lining in them. They good thing is if you’re using jars that previously contained any kind of pickle, chutney, mayonnaise or tomato sauce then the lids are sure to be vinegar proof. The only lids I’ve seen which aren’t vinegar proof tend to be lids from honey jars. Kilner clip jars are also good for pickle making. This delicious and easy pickled cucumber recipe with fennel is so easy to prepare and perfect for adding a touch of summer flavour to any meal. 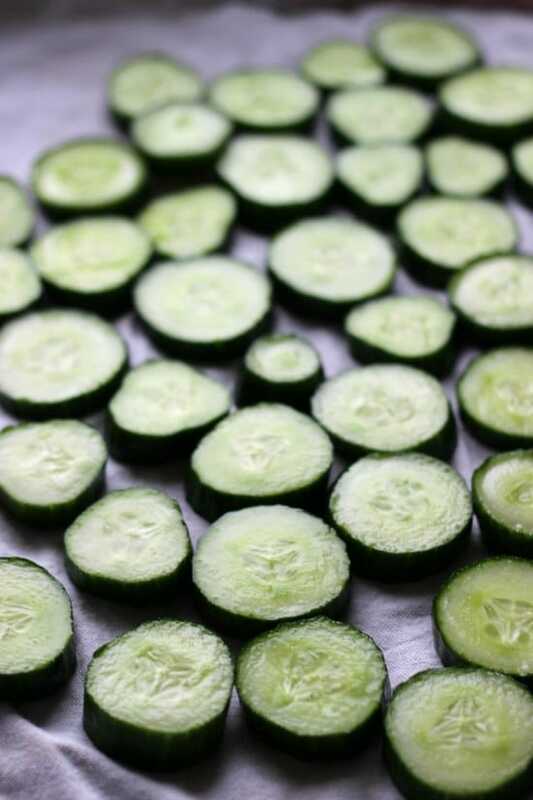 Slice the ends of off your cucumbers and discard, then slice the cucumbers into coins, roughly 1.5cm thick. 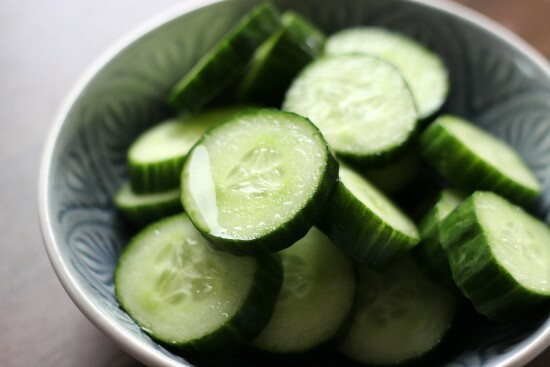 Sprinkle salt on a plate and cover the plate with one layer of the slices of cucumber. Sprinkle salt on top of that layer then add another layer of cucumber on top. Continue salting and layering your cucumber until all of your cucumber has been salted. I ended up using two plates. Leave for two hours to macerate. Whilst you are waiting on your cucumbers to macerate it's best to make the pickling brine. To do this it's really easy - simply add the vinegars, water, sugar, garlic slices,, mustard seeds and peppercorns to a pot and heat gently over a low heat, stirring until the sugar has dissolved. Once you've done this leave this mixture to cool. After about 1 hour and forty minutes sterilise your jars and lids. To sterilise jars see this guide to sterilising jars. Once your two hours is up rinse the salted cucumbers and pat dry with clean tea towels. 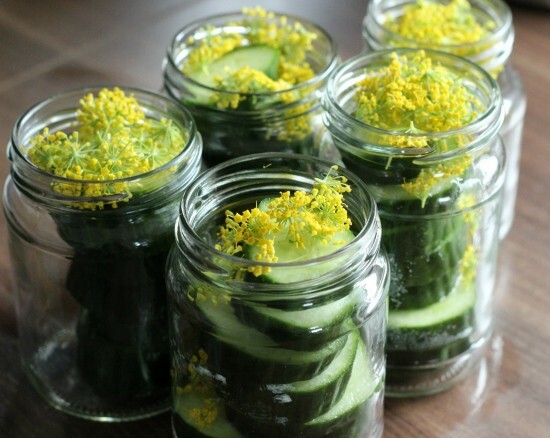 Place the cucumbers into your jars and evenly divide your fennel flowers between the jars. Pour the brine over the cucumbers and fennel, leaving just half a centimetre from the lid of the jar. 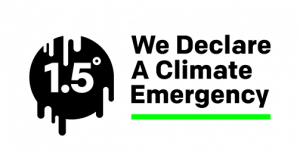 Seal and leave in a cool dark place for 48 hours at the absolute least, but preferably a week. The longer you leave it the greater the taste, so patience really is a virtue! The jars should keep for around 3 months unopened. If you want you can place your sealed jars in a bath of boiling water for 5 minutes to process them - this should mean they will keep for around a year, unopened. They do soften a bit using this method. Once opened, keep your pickles in the fridge and use within a fortnight. 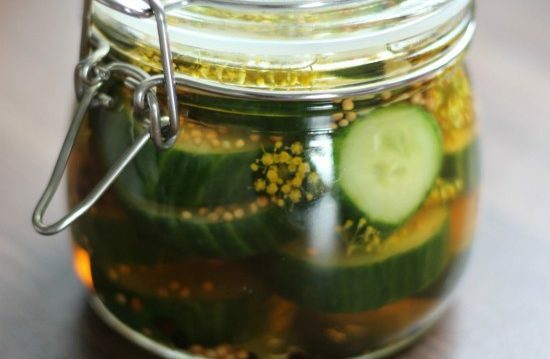 I hope you enjoy this easy pickled cucumber recipe! It’s definitely a firm favourite in our house! Wow, I’ve learned something new. I thought you had to have special gherkins to pickle, I never knew you could pickle ordinary cucumbers – thanks for the education! Gosh, we never have enough cucumbers left to pickle! They get eaten as soon as they are ripe!